The requests are a new approach by migrants in response to President Donald Trump's recent policy that requires people seeking protection in the United States to wait for their U.S. court dates in Mexican border towns, part of his hard line stance to halt migration. 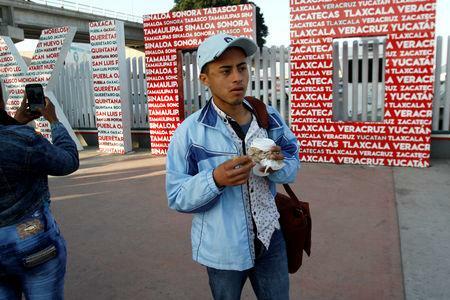 Some 240 people - including families - have been returned to Mexico since late January under the programme, dubbed Migrant Protection Protocols (MPP), according to U.S. officials. 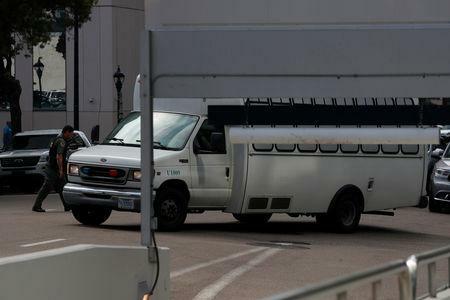 Six Central American migrants who crossed from Tijuana through the San Ysidro port of entry had their cases heard at a San Diego courthouse in the programme's first day of hearings on Tuesday. All were told to return to Mexico. Tijuana, like much of Mexico's northern border zone, has seen extensive bloodshed since the federal government began using the military against drug cartels over a decade ago. "Mexico is not a safe place for all people, and there are vulnerable groups at risk," Barnard told reporters after the hearing. Her clients would remain at a U.S. 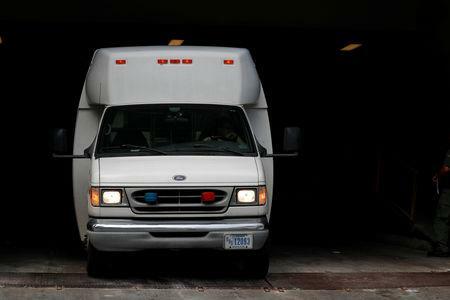 Port of Entry on Tuesday night, ahead of interviews with asylum officers, likely the next day, Barnard's assistant said. "God willing everything will move ahead and I will be able to prove that if I am sent back to Honduras, I'll be killed," he said prior to the hearing. "They are just being sent back to homelessness in Tijuana," she said, adding that Mexican officials are not explaining how returnees can earn work permits. U.S. officials have said they are working with the Mexican government to ensure migrants are safe while they wait in Mexico. But some Mexican officials have warned the country's border cities would struggle to look after asylum seekers for long periods. The American Civil Liberties Union and other advocacy groups are suing in federal court to halt the MPP programme, which is part of a series of measures the Trump administration has taken to curb the flow of mostly Central American migrants trying to enter the United States. The government has said the new programme is aimed at ending "the exploitation of our generous immigration laws." Critics say the programme violates U.S. law and international norms because migrants are sent back to often dangerous towns in Mexico where it is difficult to keep track of their U.S. court dates and to find legal help. "The government did not have its shoes tied when they introduced this programme," he said.